The Institute for Racial Equity & Excellence is committed to providing trainings, workshops, coaching, and mentoring to enhance equitable practices in education, policing, counseling, and employment. 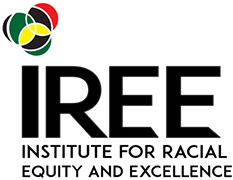 IREE is committed to providing professional development opportunities that engages participants on a journey that leads to inclusive, cultural responsive practices in all aspects of their work and lives. Our purpose is to ensure professionals are fully prepared to enhance the lives of those with whom they share the world; at work, at home, in communities. Our approach is to handle all trainings with care, nurturing the spirit of participants to encourage a fearless quest for knowledge. Every program is unique. Individualized approaches will ensure each participant/program will meet their goal. Custom solutions take advantage of opportunities that will enhance your overall program. That's what we deliver to you. When we work with you, we roll up our sleeves and become your partner. Our success is measured by your success! That's why we invest in whatever resources are needed to ensure your goals are achieved. We know the challenges professionals face today. We have been in your shoes. As former Directors, Government Officials and Administrators, we have firsthand knowledge of running a high quality, inclusive organization that serves and welcomes all.